A premier choice for where to stay on the island of Hilton Head are the vacation rental properties that include 10 gorgeous homes and villas in Sea Pines. A community that encompasses nearly 5,200 naturally beautiful oceanfront acres on the posh southern tip of Hilton Head, the private, gated community of Sea Pines offers luxury galore. Water-features are prominent and many homes and villas offer spectacular water vistas, including panoramic views of the Atlantic Ocean, Calibogue Sound, tidal creeks (many with private deep-water docks), marshes, and lagoons. 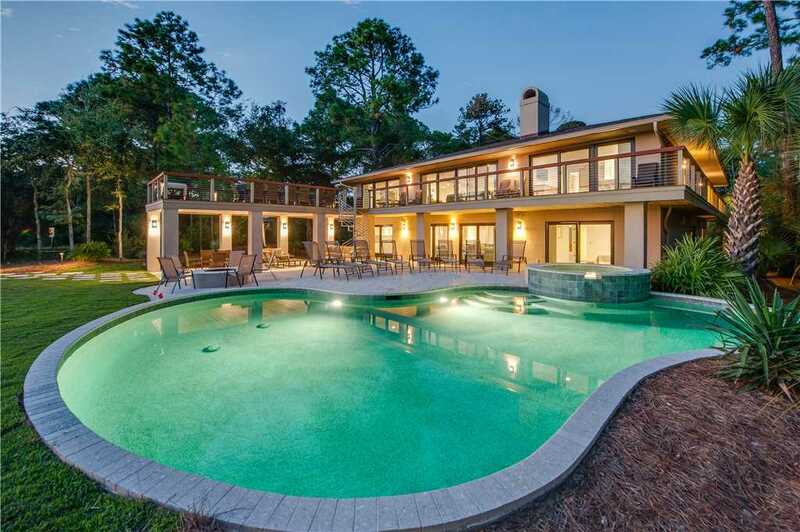 Let’s take a look at two of the outstanding vacation rental homes in the Sea Pines community. The stunning home at 6 Brown Pelican is a beautifully renovated eight bedroom, six bathroom oceanfront home that has all that you want in a luxury vacation rental home! An outdoor living space, complete with private pool and spa, will provide a peaceful spot to relax with friends and family. Amenities such as the gourmet kitchen, outdoor grilling station, 10 flat screen TVs, wireless internet and more make this a popular home. Stay four or more nights now through March 3, 2018 and receive $300 off your Hilton Head Island vacation when you book by December 1 st! Enter the Promo Code SNOWWAY when you book to receive the great savings. 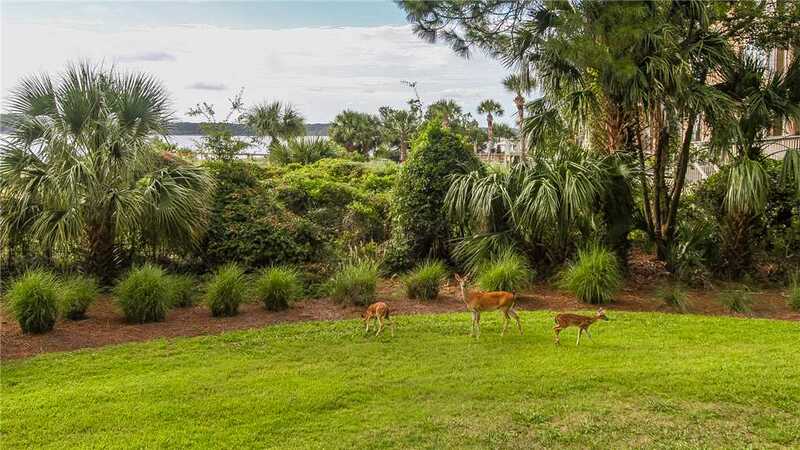 Enjoy wide-open views of the natural wildlife from your first-level villa at Beachside Tennis 1886! This beautifully-renovated two bedroom, two bathroom villa sleeps 8 comfortably. You’ll enjoy easy access to all of the lifestyle amenities Beachside Tennis has to offer and be mere steps from the beach. The large complex pool is located close by. The villa has a gorgeous custom designed kitchen with stainless steel appliances, granite countertops, and cherry cabinets. Stay four or more nights now through March 3, 2018 and receive 10% off your Hilton Head Island vacation when you book by December 1 st! Enter the Promo Code SNOWPROBLEM when you book to receive the great savings. Sea Pines is world known for its fabulous golf. Three courses, including the lovely Harbour Town Golf Links, are located within Sea Pines, as are 23 tennis courts and two marinas (Harbour Town Yacht Basin and South Beach Marina), each with waterfront shopping, dining and wholesome family entertainment. There are miles of paved leisure trails, an equestrian center, a 605-acre forest preserve and more. Vacationers to Sea Pines are sure to appreciate the five miles of beautiful shoreline along the Atlantic Ocean. The white sand beaches of Sea Pines are wide and hard-packed at low tide — perfect for bicycling or beachcombing. There’s no shortage of things to do when you come to Hilton Head! If you’d like to know more about our outstanding homes and villas in Sea Pines, you can Get in Touch with us and we’d be happy to talk with your about what makes Sea Pines the greatest getaway spot on the island of Hilton Head, South Carolina!